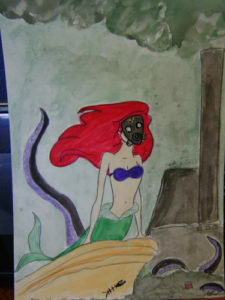 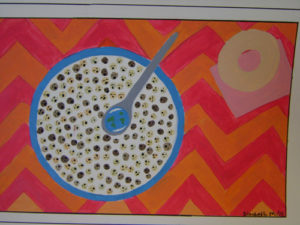 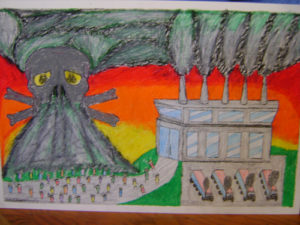 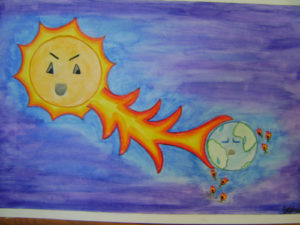 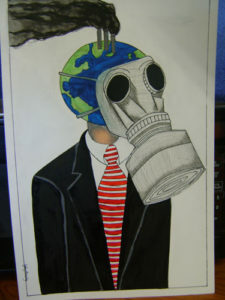 In a project sponsored by PSR Arizona, Palo Verde High Magnet School Advanced Art Students illustrated threats to human health due to the changing climate. 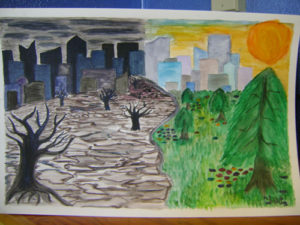 Project details: Students created a 2 dimensional piece of artwork that visually describes different threats to human health due to the changing climate. 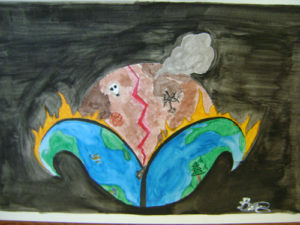 Areas of research included global warming effects, over population, waste management issues, etc. 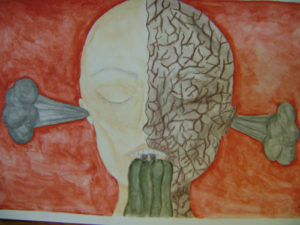 This project furthered develops the skills, knowledge and expertise students must master to succeed in visual art; it is a blend of content knowledge, specific skills, past knowledge and creativity.